Once or twice a year, Northside’s Red Cross Colloquium runs a blood drive. The blood drive is a simple, accessible way for Northside students to get involved and help people in need. Donating blood is a very important deed; according to the Red Cross website, someone needs blood every two seconds and a donation of blood from one person can save up to three lives. Red Cross Colloquium’s blood drive makes donating blood a convenient way to help people in need. Santiago Obispo, Adv. 104, is a current member of Red Cross Colloquium. He said that the importance of the blood drive is to “get students involved in something that can help a lot of people alongside providing blood to those in need.” Students age 16, with parental consent, and students ages 17 and up no matter what, can donate blood during colloquium this week. Once the drive is completed at school, the blood goes to a lab to be tested and from there it is distributed to people who need it. Blood donations are very necessary, as blood must be used within 42 days of receiving the donation. Organizing the blood drive took a lot of hard work from Red Cross Colloquium. The members of the colloquium first consulted the Red Cross website, which has information and instructions for schools on how to organize their own drive. Obispo said that a representative from Red Cross also came in to talk to the colloquium. She was brought in by Ms. Janet Torres, Language Department and Red Cross Colloquium teacher. The representative showed the colloquium how to use the website and gave them helpful advice on organizing and running the blood drive. 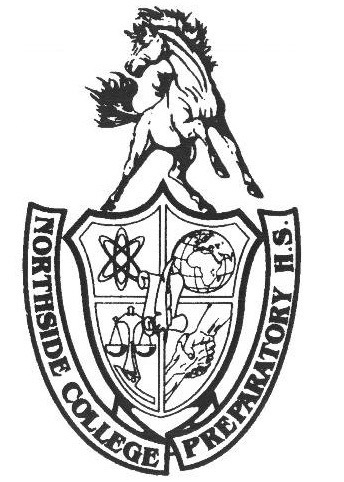 On the day of the drive, Red Cross will send trained professionals and the necessary supplies to Northside, and the colloquium will organize the event and gather donors. Besides just organizing the blood drive, Red Cross Colloquium is involved in many other important activities. Obispo said “The Red Cross Colloquium is a colloquium focused on helping others in need. We have participated in fundraisers and with organizations such as Feed My Starving Children, a book drive, and a supplies drive for schools in need.” The colloquium has also made cards for people in shelters and collars for animals without homes. Obispo said he is in Red Cross Colloquium because he “thought that it would be pretty cool to help people out, get service hours, and still be at school at the same time.” The colloquium is a good combination of work and play, and you leave with the knowledge that you helped someone out. Anyone is welcome to join the colloquium during second semester. If you are considering donating blood, Miranda Stillwell, Adv. 009, urges you to do it. She says she first started donating because she knew that by doing so, she was helping someone in need. She says “One motto that I live by is give to others who have none, what you have too much of. I know I don’t have too much blood, but I would just say that the blood will save someone’s life.” Plus, she says that donating blood does not hurt much at all. Blood shortages are most common during the summer months and the winter holidays as people become more busy, so now is a perfect time to donate blood. If you want to get involved, the blood drive is this Wednesday, December 5 during colloquium. You can also join Red Cross Colloquium second semester to help plan the blood drive and get involved in other important service opportunities.